HomeExperience LevelAdvancedBunt Coverage – Are You Sure Who Goes Where? Your players practice throwing and fielding properly, but when that bunt goes down, do they have a clue who goes where? Who covers 3rd when the runner’s fast – make sure your team knows! Bunt defense matters when the game’s on the line – and often your season with it. Make sure your team’s properly prepared! It’s championship play, against that championship pitcher, and your team can’t hit to save their lives! YOU’VE got that awesome pitcher that nobody can hit against, so bunting is their only option! 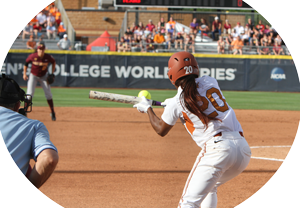 In either scenario, championship play or playing behind a great pitcher, your team’s ability to handle the bunt will determine your ability to win. It’s that simple. If we look at bunt defense, at its core it’s pretty simple; get in the proper position, field the ball, throw the ball and get into another important position. But we all know simple doesn’t mean easy, and these four things can get pretty messed up. Now not all 4 will be in place on every bunt, but it’s best to have an infielder cover 3rd if for no other reason than infielders are used to making tags around bases, while outfielders are not. The position that you’d like to cover the bunt is the person in the best position to make the throw – ideally to 2nd base to get the lead runner. If all infielders are Right-handed then that person is usually the 3rd baseman, if she can get to the bunt. But, if your 1st baseman is Left-handed then she’d be in position to make a throw to 2nd base if she can get to the bunt. Buy a ticket and popcorn, or else cover 3rd! The opposite is also true. If a Righty with power who might bunt is up, then your 3B will have to play back in case she hits, and then P and 1B will have to take all bunts. And here’s the situation that’s the trickiest….the runner on first is super-fast, and the offense bunts to the 3rd baseman on purpose. This means she’s got to first field the bunt and make the throw, before she can hustle back to cover 3rd base – but in the meantime, the Runner at first never even slowed down at 2nd in her attempt to take 3rd on the bunt! Practice for all types of runner speeds, and defensive coverages…your season just might depend on it! If this seems new to you, don’t worry – we’ve got you covered! We’ve got some great eClinics that detail all types of defensive coverages. You can get them individually by clicking the links below, or you can get them ALL as a member of our VAULT CLASSIC! 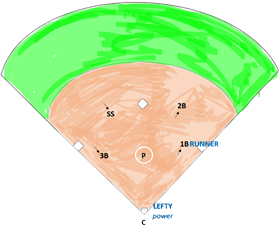 In the case where the fast runner is on first base, if the 3B fields the bunt, we usually have the pitcher cover 3B. Is this correct? It’s a difficult angle for the Pitcher to run over and turn completely around to get into defensive position as well as receive the throw. It’s actually better if the Pitcher fields the bunt to allow the 3rd baseman to get back into defensive position at 3rd base.